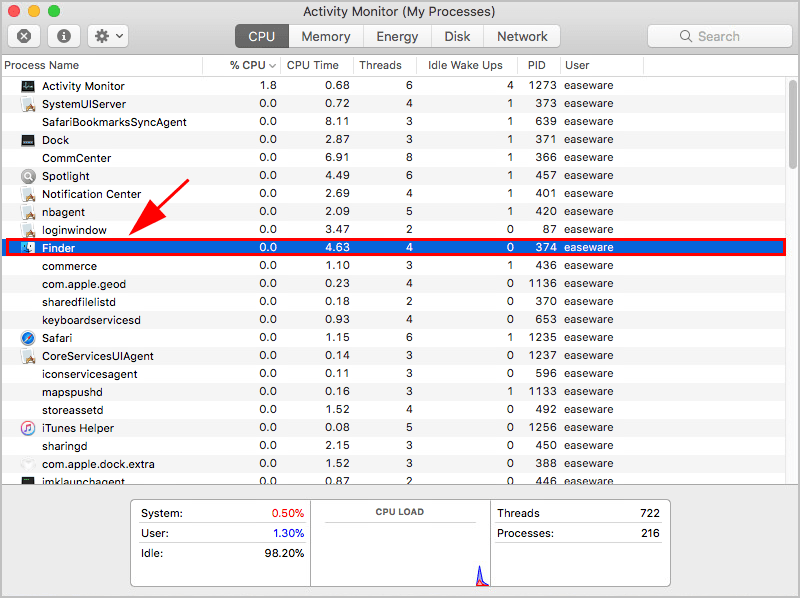 When there is an application that is not responding, you may want to force quit the app on Mac. Don’t worry. We’ve got you covered! 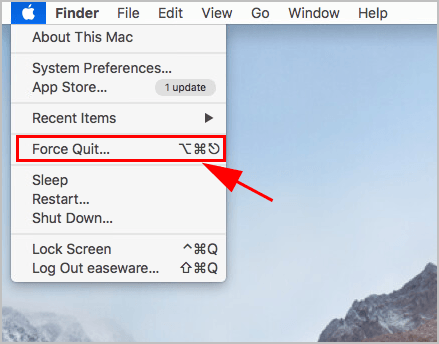 This post shows you how to force quit on Mac quickly and easily. 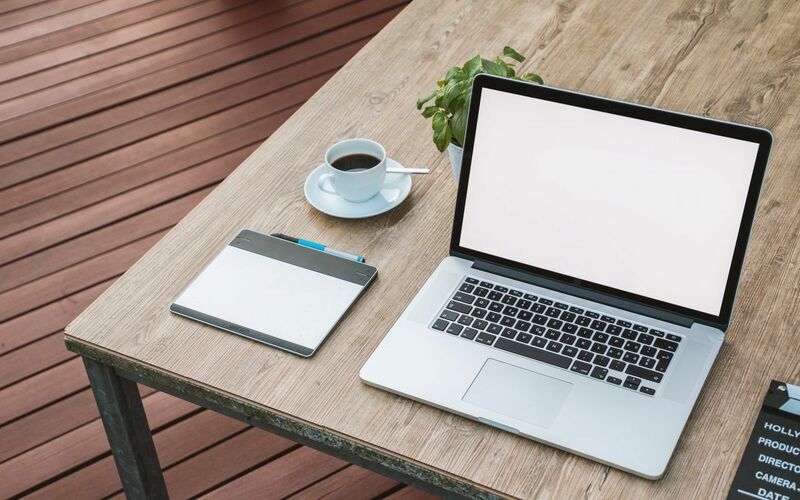 If you want to kill the symptom of your problem, like program not responding, the quickest way is to force quit that application or program. However, this may not completely resolve your problem. You may need to look further to fix that issue. 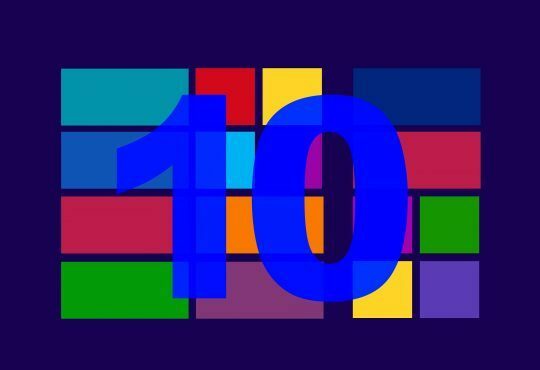 1) On your keyboard, press and hold Command, Option, and Esc keys at the same time. 2) The Force Quit Applications window will pop up. 3) Select the application you want to quit, and click Force Quit. 1) Right click on the icon of the application that you want to force quit. In my case I right click iTunes. 2) Press and hold the Option key on your keyboard until the right-click context menu changes to Force Quit. Then your application will be forced to quit. 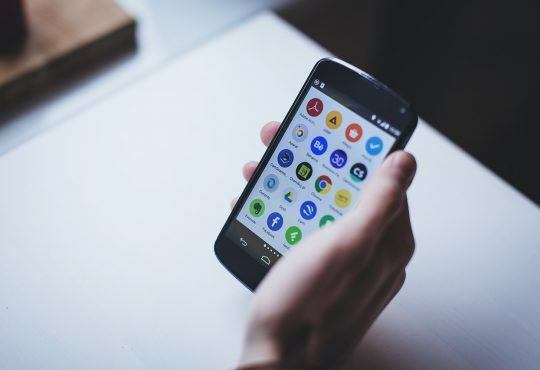 It’s a common method to force quit an app from the Apple menu. 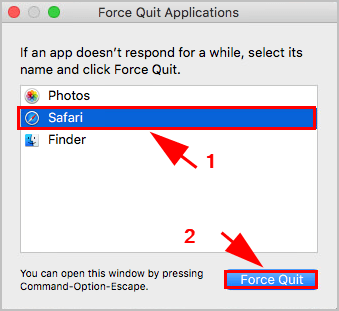 Kindly note that using this method won’t force quit the system applications because the system applications isn’t in the Force Quit Application list from the Apple Menu. 1) Click the Apple logo on the upper left corner on your screen. 3) The Force Quit Applications window will pop up. 4) Select the application that you want to quit, and click Force Quit. 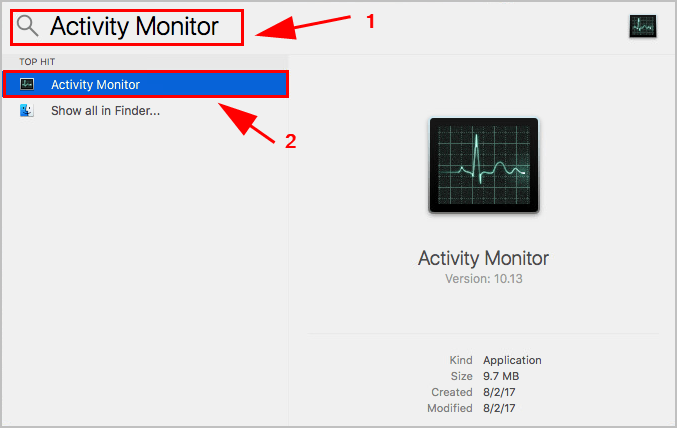 Activity Monitor is a program that shows the processes that are running on your Mac, and you can check your running applications and how they affect your Mac’s activity. 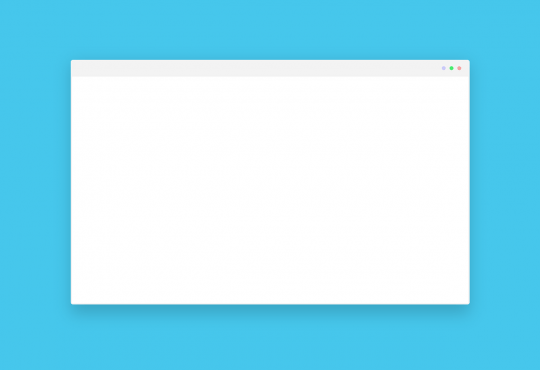 1) On your Dock screen, click the Spotlight icon on the upper right corner. 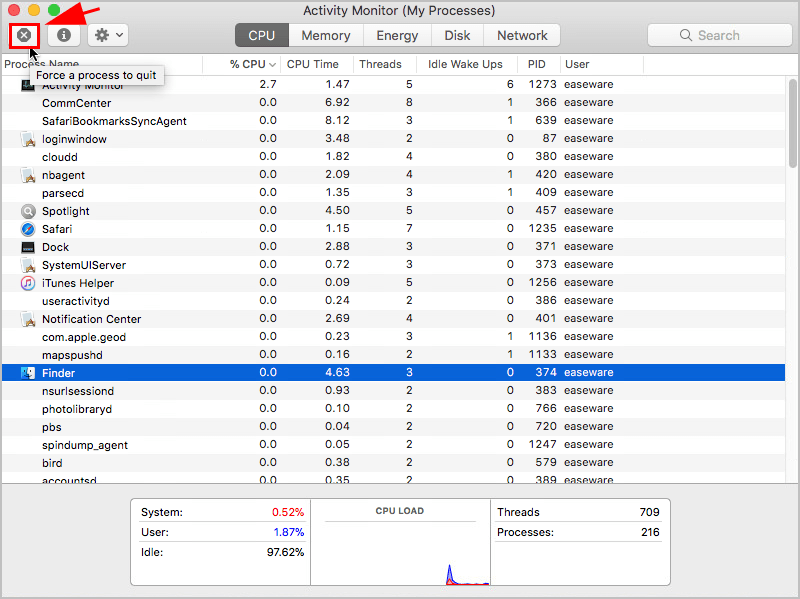 2) Type Activity Monitor in the search box, and click Activity Monitor to open it. 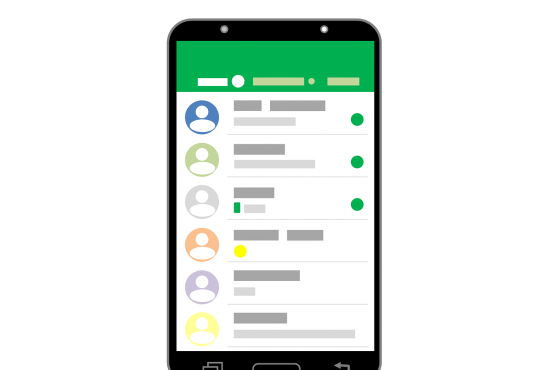 3) In the running application list, select the application you want to force quit. In my case I click Finder. 4) Then click the Force a process to quit button. 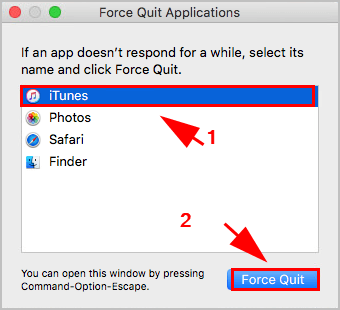 So there you have it – the four easy methods to force quit an app on Mac. 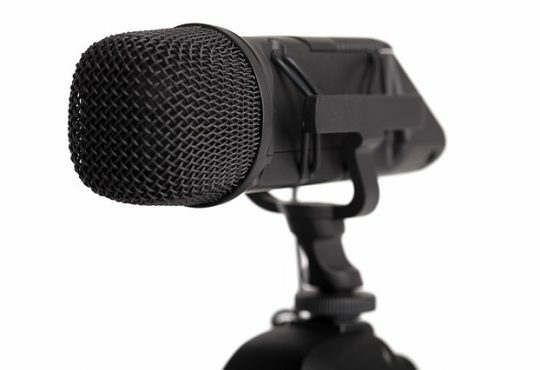 If you have any question, feel free to leave us a comment below. Convert PDF to JPG. Easily!